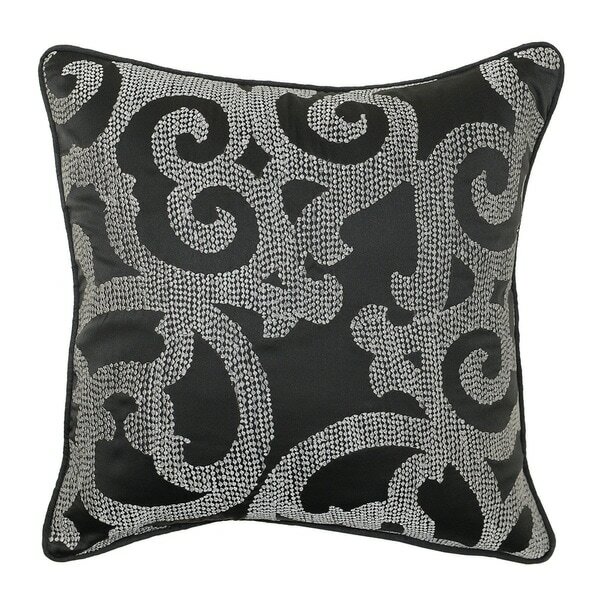 Swirls of metallic silver embroidery add richness to the already luxe, faux silk surface of the Eva pillow. Done in a rich, neutral charcoal it becaomes a very versatile style. These plush pillows are filled with a feather and down blend fill combining comfort and design.